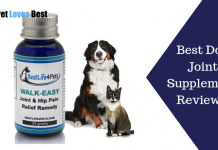 Wisdom Panel Review – How Accurate Is Wisdom Panel? Did any of the stories intrigue you? Stories stating that your very pooch can partially be a descendant from the coyote, fox, etc. In fact, some people have very wrong conception about identifying the mix breed or mutt properly for his genetic traces and which breeds. However, we have reviewed a pocket-sized DNA test kit – Wisdom Panel 3.0. It can give you ton loads of info about the genetic pool of your dog, vulnerability towards some common diseases, and drug sensitivity. You might have seen some of the advertisements flashing the Wisdom Panel coupon while searching some pet-related products. Moreover, you might have ignored that flashing product even before it tickles our mind with some important questions. Generally, people like me who have paid enough attention to the add will doubt if their pet is a pure-bred? Although the breeder claimed it to be one there are still some chances that the great-grandparent of your pooch to be a mix. 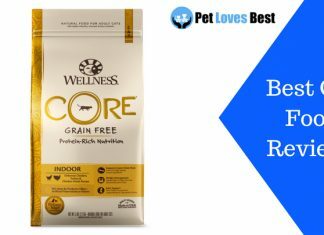 First things first, we have come up with the wisdom panel 3.0 reviews topic to know about it properly. The apparent product people often call it as Wisdom dog(testing kit). 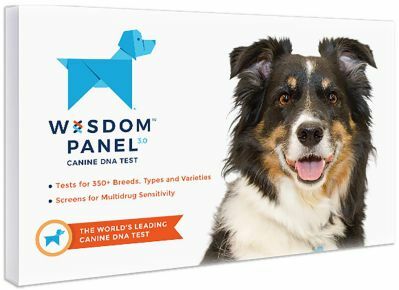 However, the Wisdom Panel 3.0 breed identification DNA test kit is not the only product from this brand. You can even get its latest testing kit i.e. Wisdom Panel 4.0. You can see its comparison later in this review. Apart from that, the Wisdom Dog DNA test kit is hasslefree to use and obtain the results. You can easily take the specimen of your dog using a cheek swab test and post the specimen to the laboratory. In fact, taking the cheek swab can be as simple as taking the saliva sample on a swab. You can easily roll the swab on the inside of your Fido and mail the specimen to the lab. Thereafter, the laboratory people can take up to two to three weeks to produce the results. Finally, after the span of two to three weeks, you can see the results of the Wisdom Panel results. Generally, Wisdom Panel review will cover the details of the test rather than going to the actual parameters individual dog breed exhibit during the tests. It will not only make understanding this product even simpler. 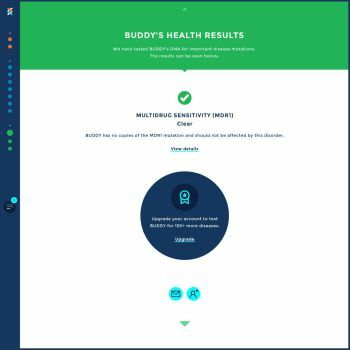 In addition, the Wisdom panel 3.0 includes every detail regarding your Fido right from his birth to details of his ascendants. On the contrary, you will get to learn about the sensitivities and allergies that your pooch can easily catch. As the matter of fact, you will get to learn about the product in detail later in this Wisdom Panel review. Finally, to the least about the Wisdom Panel 4.0 is that it will show the picture of the generation tree till four levels. Additionally, it will show if your pooch is actually a mutt or a pure-bred pet. In fact, you can see which were the species involved in generation tree which eventually led to the birth of your pet. This section had some of the details about the Wisdom Panel review of variant 3.0. You shall read further to find the method of taking the specimen as well as sending it the laboratory. Additionally, you can learn if the Wisdom dog DNA is worth buying when you can actually consult the vet. Coming to the actual process and how to take the specimen as well as mail it to the laboratory. You will see the Wisdom Panel review which will explain its usefulness. Along with that, you can learn about the process of taking the samples for the test. 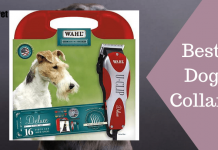 Starting with the same, we would like to add to the fact that this product has an elaborate database of the dog breed characteristics. Adding to the fact, the Wisdom dog genetic analysis will provide a screening multidrug sensitivity. Along with that, the lab results deliver the report of the generation tree details considering more than 350 mutt breed possibilities out of a few million samples from their database. Furthermore, that report will describe the suitable weight and possible mediums from where your pooch can catch allergies or sensitivities. In addition to that, you can get to know if your pooch has any delicacies or sensitivities from the wisdom panel 3.0 breed identification DNA test kit. Starting with the first part of the process, you can even follow the guidelines from the Wisdom Panel 4.0 or 3.0 pack. 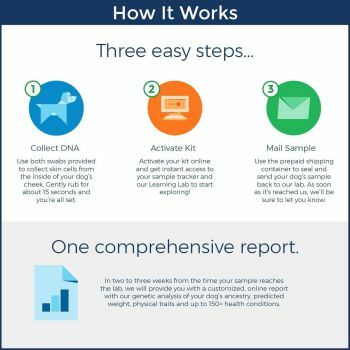 The pack of the Wisdom Panel genetic analysis kit will have two swabs which are actually the tools for collecting the skin cells of your pet. In addition to that, the Wisdom Panel pack will have two swabs inside the pack. You have to roll both the swabs individually to the inside cheek of the dog. Begin rubbing the cotton gently on the side walls of your dog’s mouth. Let it dry properly for a few minutes. Then you shall follow the same for another swab. This method will not only ensure that the reports have the thoroughly checked of the samples but also eliminates any casualties. Then you can pack both the swabs in the prepaid shipping container that the Wisdom Panel DNA test kit consists. Moreover, the swabs will absorb the substantial amount of skin cells due to its cotton bud. Additionally, the specimen we allowed dry maintains the quality of the DNA samples. Thereafter, all you have to do is pack the swab with the sample in the prepaid mailing container from the kit. The mailing container is the prepaid commodity of the dog Wisdom Panel. 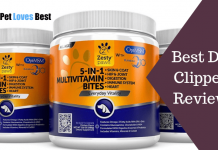 This is one the best provision that you will get in any of the DNA test kits of dog results. In addition to that, there are two more steps you need to follow after taking and packing the samples. You can learn about those two steps in the coming section of the Wisdom Panel review. Coming to the second step of the sample collection process – the activation of the Wisdom Panel sample. You have to register your product on the Wisdom Panel online tool. It will grant you access to the learning lab and useful information regarding the test process. Furthermore, registering the testing kit right after you have taken the sample has more to it. While you mail the sample which could take a day or two depending upon the shipment distance. In that time, the sample reaches to the laboratory and another two to three weeks will pass for the testing process. Having said that, you can learn about the testing process and the status of your sample if you have registered. In addition to that, you will get the notification when the lab receives the sample shipment from you. This is a great feature that all of the DNA test dog results should have. 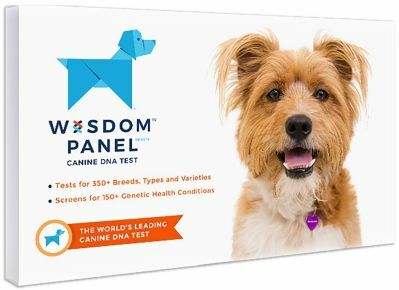 Nonetheless, the Wisdom Panel 3.0 breed identification DNA test kit is the best dog DNA test kit for that reason. Even though there are other products in the market which provide equivalent features. You will get to learn about those products later in this Wisdom Panel review. Coming back to the following the process of sending the sample for mail, we will get the notification when our sample reaches the lab. Thereafter the laboratory dog results can take up to three weeks of time to reach back to you. Waiting for two to three weeks, in general, is a bit too much when you are intrigued by the DNA test concept. Nevertheless, this is the usual time each and every DNA identification labs would consider. In fact, you will have to wait a bit more and pay more for the results you get later than the Wisdom Panel 3.0 kit. As we mentioned, waiting for the results can be very difficult when you are curious to know the in-depth personality of your dog. Yes, the test can depict the specific traits of a dog from the cheek swabs. The laboratory experts will recognize the DNA markers to extract and analyze the sample for thorough results. Testing the intricate theoretical as well as the ideal breed test characteristics from the database. However, the for the results which comprise of the detailed information, taking a little more time than this is considerable. Anyways, most of us will not be facing severe behavioral issues from our dogs that we can’t control. Hence, although waiting for two to three weeks is not appreciated but is considerable. Coming to the final part of using the wisdom panel 3.0 breed identification DNA test kit, getting the results from the laboratory. 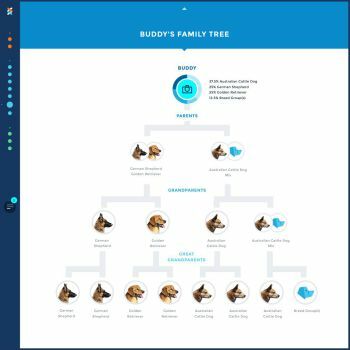 The Wisdom Panel 3.0 specifically provides the dog breed identification and generation tree of three level. Along with that, the apparent Wisdom dog test will describe the Multi-drug Resistance Mutation (MRD). In addition to that, when we talk about the dog breed identification then it does mean the only number of breeds. In fact, the test describes the specific range of proportion of different breeds. You can see an example of the test from Wisdom Panel 3.0 in the image above. There are some accusation of inaccuracies of the Wisdom Panel results from the pet owners. A few of Wisdom Panel users have shared their experience using the Wisdom Panel 3.0 breed identification DNA test kit to be unpleasant. Moreover, they received the results which didn’t confirm the breed identification of their mutts. This has been the case with most of the DNA dog results. Because identifying the gene pool having numerous characteristics out of one pooch is next to impossible. Still, you will get the results which describe the major resemblance of your pooch to any breed. In addition to that, the lab results might describe some proportion of your pooch to be of unrecognized mutt. Nevertheless, the result will accurately describe the major proportion of your Fido to be of a specific breed. However, that too depends on the density of the three-level generation tree of your mutt. As the matter of fact, the denser the generation of your mutt more the result will have chances to show unrecognized breed in its result. Therefore, if you are taking the Wisdom Panel 3.0 for your claimed purebred then you might get accurate results. Then you will get to know about the physical characteristics of your pooch, sensitivities, etc. On the other hand, if you are taking this test of a rescued dog then you there are more chances that you will get the inaccurate results. Because the rescued dogs, in general, have denser gene pool as well as intricate physical characteristics. This section will describe the information that you receive from the Wisdom Panel 3.0 in brief. 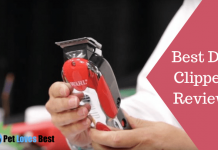 Additionally, you will get to know about the product which we have loved after using it. The sub-sections describe the key features of the Wisdom Panel. The Wisdom Panel 3.0 can deliver a screened report which mostly shows accurate results for more than 350 dog breeds, types. The lab experts verify the samples from their gigantic database of ideal examples. Generally, the pooches which have dense or many generation branches are difficult to identify. In fact, the Wisdom Panel 3.0 cannot depict all the breed when they have characteristics of numerous breeds. Furthermore, this type of gene pool will not have similarities with either of any standard mutt examples. Because a dog which has DNA of more than ten types of purebreds is next to impossible to find today. In the same manner, if the parents of grandparents of your dog happened to be mutts of dense gene pool then getting the perfect name today is impossible. On the other hand, you shall have perfect results if your pet happens to be a few branches from being the purebred. In other words, you will get perfect genetic analysis results if your pooch has a maximum of a handful of breeds mix in him. 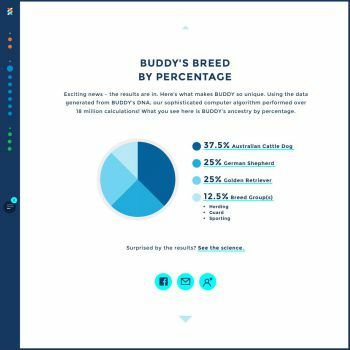 The Wisdom Panel 3.0 delivers information of three generation layers of your Fido. It means you can know about the breed identification of grandparents of your pooch. In addition to that, the reports will describe the sensitivities your pooch can have keeping the gene pool as a reference. There are three basic situations when you can use the Wisdom Panel 3.0 namely curiosity, medical status for future, and behavioral traits. Generally, you can know a lot more about dogs than just its genetic tree info. 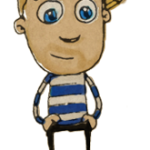 Having said that, many of us are just curious to know who our little champion really is? In fact, some people take this test to know if their pooch is actually a pure-bred species. We have nothing to gain more than knowing more about our dog. Moreover, people have a curiosity to find if their pooch belongs from coyote or wolf family. Yes, the Wisdom Panel 3.0 can even deliver details about coyote or wolf gene pool. In addition to that, the Wisdom Panel 3.0 does show the possibilities that your dog is susceptible to any sensitivities of medicines. It is called the Multidrug Resistance Mutation(MRD). 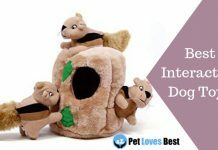 Hence, you can change your lifestyle a bit to provide your dog safe environment where he can live longer and healthier. Not to mention, you can get the Wisdom Health dog test kit to know about the vulnerability of your pet to diseases. Additionally, this test will project the possibilities the limit to which your little pup can grow and weigh in his adulthood. This also includes some of the physical features of your dog including the fur color, fur type, etc. Lastly, the Wisdom Panel 3.0 test will describe some of the traits that your pet can have or has. Moreover, people put their mutts to this test to find if their pet is family friendly or kids friendly. Also, they tend to find if their Fido is a lap dog, guard dog, or something else. The Wisdom Panel 3.0 has these merits and demerits. Checks 350+ breeds, types from its vast database. Describes sensitivity towards medicines or medicinal elements. Shows three layers of generation tree. A simple process of swab test. Online activation of sample and privileges of lab learning. Notification when the sample received at the lab. Can be inaccurate if your pooch has dense gene pool or enumerous branched tree. Wisdom Panel 3.0 results show generation tree and drug sensitivity, there is a different product for knowing the diseases. Wisdom Panel 4.0, 3.0, and Health are not the only products on the market. 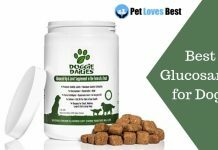 Generally, people prefer to get their mutts to take the test with these two products namely the Embark dog DNA test and the apparent Wisdom Panel 3.0 DNA test kit. To cut the long story short, the Wisdom Panel 3.0 is a great product for the quality of results it delivers. You will be pleased to get a look at the vibrant report with so many information and pictorial representation. The Wisdom Panel 4.0 or 3.0 have many similarities yet the latest version is a bit expensive. On the other hand, you will not get accurate answers if your mutt has a dense gene pool. Nevertheless, in that case, we assure you will have an accurate info if your pooch has even a slightly recognizable breed in his gene pool.